This is the first in an exciting new series of CEN blogs, where Dr. Vic Knowland asks researchers to tell us a bit about their work and how it relates to teaching and learning. 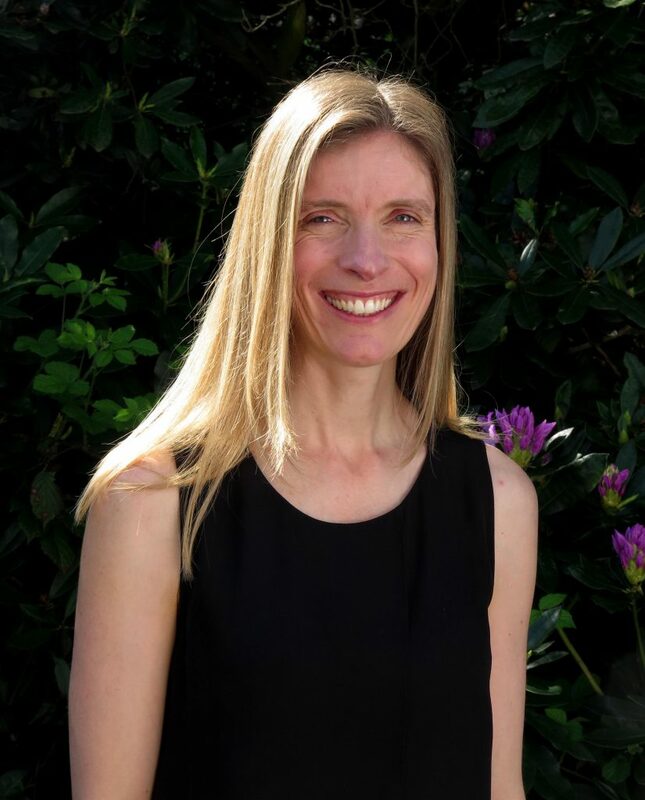 This week, Professor Emily Farran from UCL-Institute of Education tells us about her research into spatial cognition, science and mathematics. I am interested in spatial ability and how it relates to science and mathematics abilities in children. Spatial ability involves being aware of the location and dimensions of objects and their relationships to one another. It is core to everyday living (e.g., giving directions, packing a suitcase), and is also a strong predictor of a person’s science and mathematics abilities, i.e., people who perform well on spatial tasks show strong science and mathematical abilities. Despite the everyday importance of spatial ability, spatial thinking is given little emphasis within the National Curriculum, particularly when compared to the importance placed on literacy skills. Through my research I aim to encourage policy makers and educators to recognise the importance of improving children’s spatial abilities. Originally, the main focus of my research was on spatial cognition in neurodevelopmental disorders. Specifically, I work with groups for whom spatial ability is impaired or atypical (e.g., Williams syndrome, Down syndrome, Cerebral Palsy). I am interested in whether limitations in spatial cognition can be compensated for in these groups, and what the downstream impacts of differences in spatial thinking are on other domains, such as number and mathematics. This kind of knowledge not only informs us about development in these atypical groups, but provides an important window into how individual differences in spatial cognition impact development in the typical population. It also enables us to understand the underlying mechanisms that are necessary to support optimal development of spatial cognition in typical development. Armed with this knowledge, I became interested in spatial cognition in typically developing children. Importantly, spatial ability is very malleable and thus can be trained, with impact not only on spatial ability but on science and mathematics performance. This relationship has predominantly been investigated in adolescents and adults. My research focuses on primary school children. Credit for the bulk of this research goes to Alex Hodgkiss, Katie Gilligan and Su Morris, who are PhD students in my lab (http://cogdevlab.weebly.com/). We have found associations throughout the primary school years between spatial ability and both science and mathematics. For science, mental folding ability (imagining what a piece of paper would look like when folded along pre-specified dotted lines) and spatial scaling ability (mapping two corresponding locations between maps of different sizes) are important spatial skills. This relationship is consistent across the 7 to 11 year old age range. Spatial scaling is also important for mathematics across the 6 to 10 year old age range. We also demonstrated a developmental transition regarding which other spatial skills are important for mathematics. That is, mental rotation (imagining a shape rotating) and disembedding (identifying a smaller shape embedded within a larger image) were important at 6-7 years, but perspective taking (visualising a scene from a different viewpoint) was identified as a significant predictor of mathematics ability for 9-10 year olds. We have also found that different spatial skills are differentially important for subdomains of science (physics, chemistry, maths) and mathematics (geometry, shape, arithmetic). Having established these associations, we are now investigating the impact of training spatial skills using instructional videos, how differences in cognitive style (measured using eye-tracking) impact mathematics performance, the impact of gesture use on science learning and the impact of spatial thinking skills on science reasoning within a taught lesson. Understanding science and mathematics depends heavily on being able to use, understand and co-ordinate models, read diagrams, rearrange formulae, and interpret representations at different scales. At the core of science is an understanding of processes and cause and effect relationships, which are often illustrated through dynamic representations. This learning through and from various kinds of visualisations requires spatial skills. Equally, mathematics requires an understanding of shape, symmetry and numerical relationships all of which require spatial skills. By recognising the spatial elements of science and mathematics tasks, teachers will be in a position to foster the development of these concepts via the use of spatial tools (e.g., diagrams, graphs, spatial language), with positive impact on the learning of science and mathematics abilities. Spatialise your teaching. That is, embed spatial thinking within your teaching. Construction toys are important; blocks, for example bolster understanding part/whole relationships, symmetry and measurement. Equally, number lines are a spatial tool that can make abstract concepts like fractions and negative numbers more concrete; they help children to visualise the relationships between values and amounts. Teachers could also teach children how to use maps and diagrams, and direct children to visualise a structure (e.g., the respiratory system) whilst learning from a diagram. Encouraging children to use gesture, sketching and diagrams during problem solving will also enhance their science and mathematical understanding via spatial thinking. Spatial language is also an important tool because it has high communicative value (describing patterns of data on a graph, conveying the location of plant roots relative to the plant stem) and capacity to enhance spatial understanding (words like ‘parallel’ and ‘converging’ succinctly communicate otherwise difficult spatial concepts). Children’s use of spatial language is influenced by the amount of spatial language that they hear, and is also positively related to their spatial abilities.